Adelaide Oval Football Membership is the only membership that gives you access to all Adelaide Crows & Port Adelaide home games, allowing you to witness the very best players from across the country every week of the AFL Season. The flexibility of unreserved seating in the Western Stand for all Adelaide Crows and Port Adelaide minor round games played at Adelaide Oval. Priority access to purchase tickets for AFL finals games played at Adelaide Oval. Reciprocal rights to the MCG, SCG, GABBA and ANZ Stadium. Priority access to purchase tickets to a range of other events that take place at Adelaide Oval, including concerts, soccer rugby and other special events. Use of the Village Green including the Hahn Pavilion and food vendors with selections only available to members in the Western Stand. With over $1,400 worth of Crows, Power and SANFL games alone, plus your complimentary reciprocal rights to the MCG, that’s a whole lot of footy for your dollar! Members are required to carry their proof of concession at all times as concession cards will be checked upon entry to Adelaide Oval. 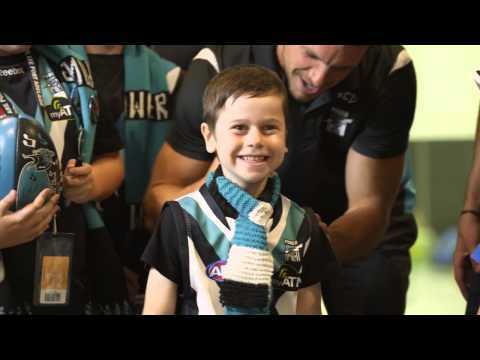 Junior Members must be under 15 years of age as of 1 January of the year membership is being purchased for, and may be asked for proof of age when entering Adelaide Oval. *Monthly option over 10 instalments (October – July). Any lapsed instalments charged at the time of purchase to bring you in line with Member ezyPay instalment plan. Have a question? Member Services are here to help!